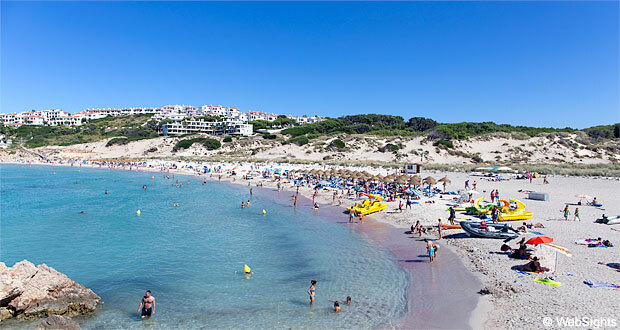 Son Parc is a small holiday resort on the north coast of Menorca. The town is located approx. 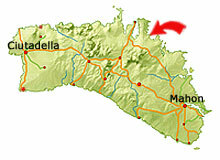 20 km north-west of the capital, Mahon. From the airport, there are 25-30 minutes by car. 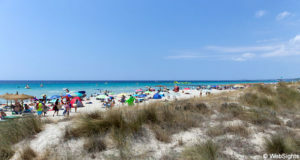 The holiday resort Son Parc has a large and lovely sand beach, Arenal de Son Saura, which is very well protected inside a bay. 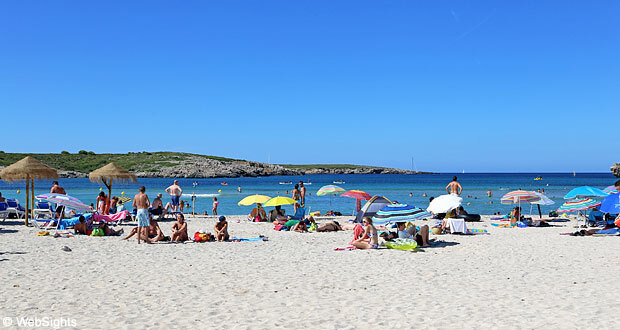 The beach is a little more than 300 metres long and covered with fine-grained, bright sand. The water is clear and rather shallow in the eastern part of the beach. Facilities include sun lounges, sunshades, showers and toilets. If you are coming by car, you can park in the large parking space in the western part of the beach. 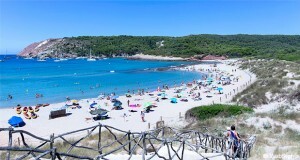 From the beach in Son Parc, there is a trail up to the small, but very beautiful natural beach Cala Pudent. The distance is approx. 1 km. 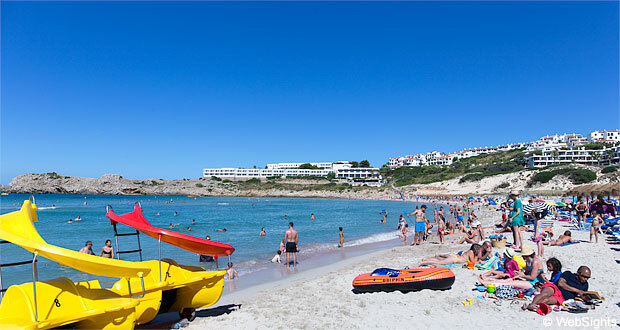 The beach in Son Parc is child-friendly, particularly in the eastern part, where the water is particularly shallow. 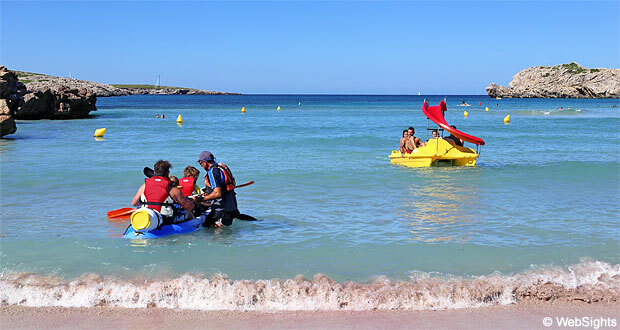 It is possible to rent water bikes and canoes at the beach. At the western end of the beach, there is a beach café. Not far from the eastern end, there is a restaurant with a wonderful view of the beach and the bay. Son Parc is a small, but very lovely holiday resort. In the short main street, there are some restaurants and bars. They do not have a wide selection, but the quality is quite all right. In addition to the beach, the golf course is the other large attraction of the town. It is the only golf course in Menorca and with its 18 holes and many tricky bunkers, it is worth the trip for most golfers. Son Parc has three apartment hotels, but there are also many people renting some of the private holiday apartments, which have been increasing in number for the past years.